While we could write all day about serious subjects like making gold or boss fights, there comes a time in a website’s life when it just needs to let its hair down and relax. We have already introduced our short story about the adventures of Sherlock Drumpf. With the weekend coming up, we would prefer to set the mood and rouse excitement for the weekend, so this article will be, frankly, ridiculous. Not as ridiculous as Sherlock’s shenanigans but then again, nothing is. 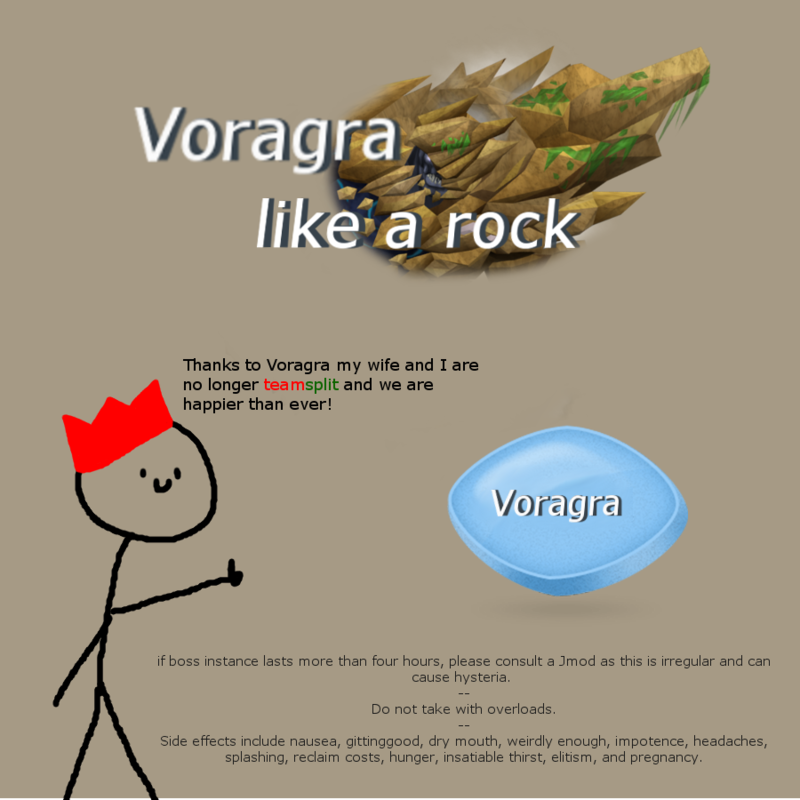 RuneScape players often find something that makes them laugh in the game or the Internet world, revolving around RuneScape. When they truly find something good, they often wish to share it with others. We feel a duty to help them, bringing the weirdest, the funniest, and the most ridiculous posts to your attention. With that said, here we go. Free speech is one of the cornerstones of society. Everyone should care about it, everyone should defend it, everyone should take advantage of it. BUT. There are things that should not be said. 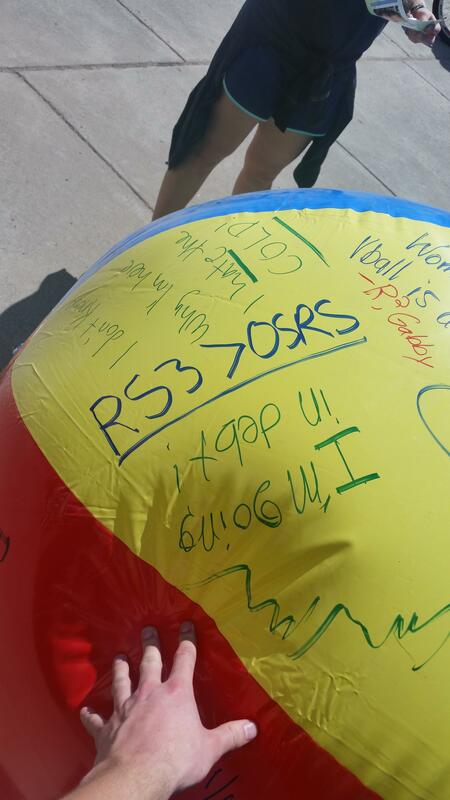 Reddit user ScenicFrost wrote one of those on a “free speech ball” in his college campus. We are speechless. We have half a mind to take out our pitchforks and hunt him down. Yes, it’s just that radical. See for yourself. Are we right or are we right? Sometimes, people say something so perfect that nothing else needs to be said. This is one of those times. Hallelujah! PvMtile dysfunction is a serious problem. 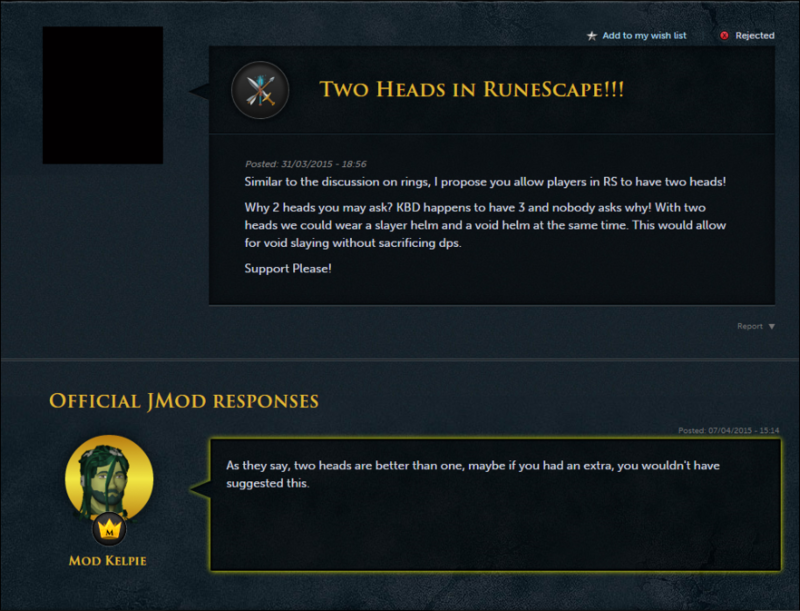 Whatever the reason for your problem, you can rest easy, because reddit user MakarsViolin announced a solution. Disclaimer: We are not saying that we suffer from PvMtile dysfunction at all! In fact, we can slay for hours and hours! Honest. Seriously. Finally, if you have ever wondered what would a TV show in the RuneScape universe would look like, YouTuber rswillmissit went through great trouble to show you what it could look like. We laughed. A lot. Hopefully, you will laugh too. Okay, that’s it for today. We hope that you laughed as much as we did. Toodles, RuneScapers, see ya later, alligator. That was dirty. We’re sorry.